Tiistai iltana Nathan Vardi Forbes.com sivustolta julkaisi Full Tilt Pokerilta saamansa lausunnon. Lausunnossa yhtiö selittää miksi se ei ole vielä pystynyt maksamaan takaisin pelaajien rahoja. Yhtiö kertoo, että se ajautui talousvaikeuksiin mm. Mustan Perjantain vuoksi. He myös mainitsevat, että valtio jäädytti rahaliikennettä jo kahta vuotta ennen Mustaa Perjantaita. Tämän lisäksi yksi maksujärjestelmiä hoitava taho syyllistyi varkauteen. Yhtiö ei vielä kerro tarkasti tulevaisuudestaan mutta he mainitsevat, että he käyttävät apunaan ulkopuolisia taloudellisia neuvonantajia saadakseen apua uusien sijoittajien ja johtoryhmän löytämiseen. Alta voit lukea alkuperäisen lausunnon, joka julkaistiin Forbes.com sivustolla. "As is obvious from the events that have transpired since April 15th, Full Tilt Poker was not prepared for the far-reaching, US government enforcement effort of Black Friday." "The events of Black Friday came on the heels of prior government enforcement activities and significant theft. Over the two years preceding Black Friday, the US government seized approximately $115M of player funds located in U.S. banks. While we believed that offering peer-to-peer online poker did not violate any federal laws — a belief supported by many solid and well-reasoned legal opinions — the DOJ took a different view. In addition, as was widely reported, a key payment processor stole approximately $42M from Full Tilt Poker. Until April 15th, Full Tilt Poker had always covered these losses so that no player was ever affected. Finally, during late 2010 and early 2011, Full Tilt Poker experienced unprecedented issues with some of its third-party processors that greatly contributed to its financial problems. 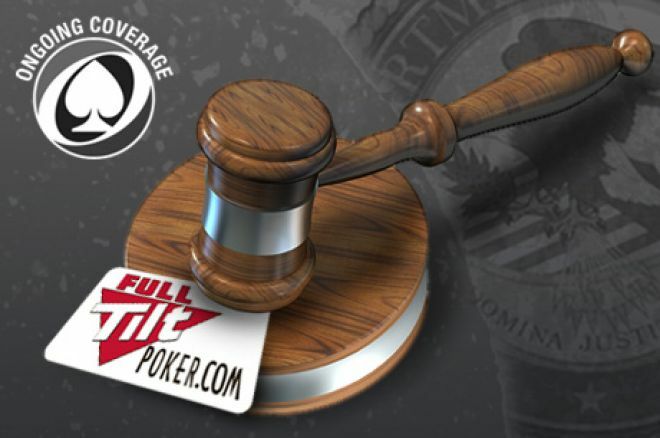 While the company was on its way to addressing the problems caused by these processors, Full Tilt Poker never anticipated that the DOJ would proceed as it did by seizing our global domain name and shutting down the site worldwide." "Over the last four months, Full Tilt Poker has been actively exploring opportunities with outside investors in order to stabilize the company and pay back our players. At least six of those groups, including hedge funds, operators of other internet businesses and individual investors, have visited Dublin to inspect the operation. We have recently engaged an additional financial adviser through an investment banking group to assist us in our search for an infusion of cash as well as a new management team to restore the site and repay players. While any deal of this nature is necessarily complex given the current regulatory environment, our players should know that Full Tilt Poker is fully committed to paying them back in full and restoring confidence in our operations."